Efforts by a wide coalition of publishers, small business owners, and even labor unions representing directory employees have succeeded in getting the San Francisco board of supervisors to delay a vote on efforts to institute an opt-in ordinance for Yellow Pages. Publisher and Association opt-out options are available for San Francisco residents. It will cost jobs in a state where unemployment has been running well above the already levels nationwide. Would hurt small businesses who know that print Yellow Pages are an effective advertising mechanisms with high ROI’s. Now Board members will wait for a study from the city economist to determine if the objections about job loss and hardship it will cause for small businesses are valid. The report is due May 10th. Clearly efforts by the coalition got the Board’s attention as comments from some of the Board members about jobs at risk came up. While the war is far from over, the industry has clearly won the first battle. The industry needs to continue to rally behind the associations to combat this effort and send a message to local officials like Chiu that there are other areas their environmental efforts could be better focused than phone books to gain an even bigger impact and cost reduction without hurting small businesses and jobs. REMODELING REPORT. As you’d expect in this post-housing-bubble period, figures for cost recoupment of remodeling jobs are significantly lower than in 2008 – e.g., only a steel entry door replacement gets a 100% recoupment within 2 years, while a garage door replacement recoups 84%; siding replacement recoups 74% to 80%, depending on materials; and window replacements average about 72%. Most everything else runs 45% to 65%. Note that the highest recoupment projects add curb appeal to make the property more saleable (Journal of Light Construction, 1/11)….Remodeling growth for 2011 could be as high as 9% – ending at an annualized dollar figure of $124 billion (Remodeling, 2/11). HOME SECURITY. The US residential security market is worth $21 billion a year, and that includes everything from complex monitored electronic systems to simple deadbolts. According to the Uniform Crime Report, there are now nearly 10 million property crime offenses a year in the US – with burglary accounting for 25%, of which 67% (1.7 million) are residential. The average loss is close to $2000. But if the economy stays flat, the numbers could get worse. While the vast majority of households won’t be buying an elaborate system, many are spending up to a few hundred dollars with locksmiths for basic protections like deadbolts, window locks, garage locks, and door viewers (Locksmith Ledger, 2/11). MARKET BRIEFS. A recent survey of restaurant owners showed that 70% expected their 2011 sales to be better than 2010, while 28% felt sales would be about the same, and only 2% thought 2011 would be worse than 2010 (Restaurant News, 1/10/11)….Some 89% of brides-to-be are considering a small wedding to save money, with 45% planning to spend less than $10,000 (Research Alert, 1/21/11)….In a recent survey, a bare majority (51%) of small business owners said that “weak sales” was their biggest problem and that it reflected the effect of declining household wealth on consumer buying (World, 2/12/11). Find out how to be at the top of your sales performance by clicking on www.kukbaldwin.com. The “State of Small Business Advertising” report, conducted by online advertising firm WebVisible found that sSmall businesses actually spent less on search advertising during the final three months of 2010, and they spread those dollars across more keywords. The new report indicated that the average small business spent $2,126 on search in Q4 2010, a 1.1% year-over-year decrease from 2009. The average keyword count was 87 root keywords per advertiser over the last three months of the year — a 30% increase from the same period in 2009. Yodle is moving beyond its core search and online directory ad products with a new display ad tool. The tool is oriented at giving local businesses, especially franchises and those with multiple sites, the ability to place contextual and targeted display ads. Since its creation in 2006, Yodle has primarily focused on helped local businesses attract prospective customers by facilitating search and online yellow pages campaigns. Now, according to company execs, using the new Yodle Display product allows local businesses to run contextual- and even behavioral-targeted display campaigns. In a recent article, we took an in-depth look into how e-waste is really complicating claims from paper atheists that eliminating print phone books alone will significantly reduce the impact on the environment (“Dirty Little Environmental Secrets Print Haters Don’t Like to Talk About”). The comparison between the environmental impact of print and digital was quite frankly startling, despite what the initial perception maybe. The fact is virtually every medium has some impact on the environment. While the obvious quick response from anti-phonebook supporter is that the print products are big environmental violators, and hence, everyone should go digital. But one truly needs to look beyond the knee-jerk response to compare the very real issues of sources, manufacturing, transportation, use, and recycling for each medium before drawing such environmental conclusions. For example, were you aware that Swedish researchers found that reading a newspaper for just 30 minutes online actually produces more CO2 per year per reader (35 KG) than reading a printed newspaper (28 KG)?? In printed news, the production of the paper itself is the greatest factor contributing to CO2 production. In online media, the energy used to power the computer while reading it, never mind the oversized impact of manufacturing the device itself, is the biggest contributors. Since the prior article took a detailed look at the serious damage that e-waste causes, several industry critics challenged me to reveal the same for the paper used in producing a printed directory. No problem. Here it is. Overview: The basic papermaking process has changed very little since it was first developed. However, over the last two centuries, major improvements and refinements have transformed modern papermaking into a highly sustainable, high tech industry with a significantly reduced environmental footprint. Let’s go through the same basic steps as the e-waste article, from raw material to production to recycling, for paper products in general (not specific to the paper used in phone books unless otherwise noted). Raw materials: Paper can be made for nearly any type of tree, from hardwoods such as Oak, to softer woods, like pine. To supply most papers primary ingredient (not print phone book paper), pulp trees specific for this use are grown, cut down, and replanted for future use. The trees are sustainably harvested and cut into logs for transportation to a mill for processing. Trees are a fully renewable natural energy source. According to the Environmental Defense Fund paper calculator, the typical pulp wood tree is 40 feet tall and 6 to 8 inches in diameter. 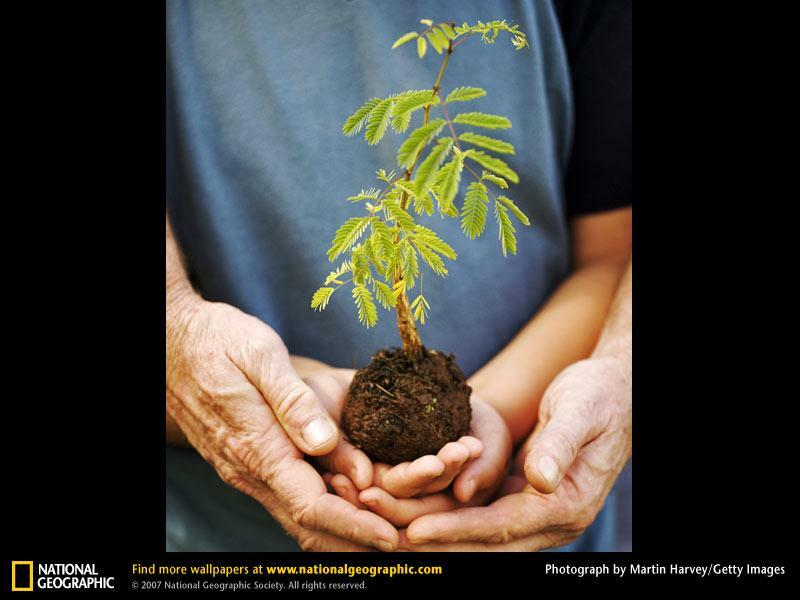 The AF&PA (American Forest and Paper Association) and USDA Forest Service indicate that about 4 million trees are planted each day. 1.7 million of those come from the wood and paper industries. This doesn’t include the millions that grow from seeds naturally. With 13.2 million acres of US “old growth forest”, we can all breathe a lot easier. In total there are 12 million more acres of US forest land today, more now than 20 years ago. To ensure that paper comes from sustainable sources, most printers will look for paper that is certified by the Forest Stewardship Council (FSC), the Sustainable Forestry Initiative (SSI), or the Program for the Endorsement of Forest Certification (PEFC). All three organizations track the chain of custody of raw materials, process materials and products from the forest to the customer, to certify that they are harvested manufactured using fiber from responsibly managed forests. Certified products are available for use in a wide range of applications including office papers, books, newspapers, magazines, annual reports, and even coffee cups. Processing: Overall, the environmental cost of paper goes beyond the trees used to make it. 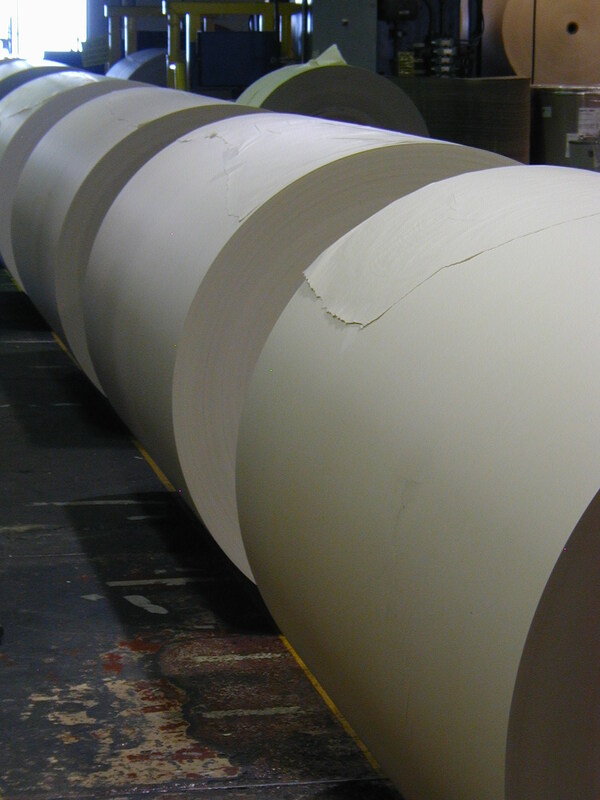 Paper production has the single biggest environmental impact of any step in the paper making process, mainly because converting logs into paper requires large amounts of energy. Often, that energy comes from coal-fired power plants – one reason why the paper industry emits the fourth highest level of CO2 amongst all manufacturers. However, some paper manufacturers also use hydroelectric power and large amounts of biofuels (bark, harvest residuals, and other byproducts of the manufacturing process) to significantly improve overall environmental performance. Specific to the paper used in phone books, it is considered a lightweight newsprint and the mills that manufacture these products have a significantly lower carbon footprint than those that make other grades of paper. For example, the carbon footprint of the Catalyst Paper mills making Yellow Pages paper is amongst the lowest in North America with 87% of the energy for their Canadian mills coming from renewable sources like hydro power and biomass fuel. In a simplified description, the logs arrive at a factory to be debarked, chipped into small pieces, and then turned into pulp in one of two ways. To create chemical pulp, the woodchips or heated with chemicals to dissolve the lignin, an organic polymer found in plant material, and release the individual wood fibers. The second process, mechanical pulping (which is the predominant process used for phone book paper), grinds the wood with water. Pulp created mechanically retains its lignin, which is why papers made from these type’s of pulp yellow over time. The EPA estimates that more than half of the general papermaking sectors energy needs are met with renewable biomass fuels that are byproducts of the manufacturing process. Papermaking:. After bleaching it to make it white, the pulp is washed to improve brightness. From here, the pulp is mixed with other ingredients, formed into a sheet on a rotating screen, and fed through heated rollers that press it flat and dry. After this step, some papers received an additional top coating for improved smoothness and print ability. One 4′ x 4′ x 8′ cord of wood can be converted into about 90,000 sheets of letterhead paper. Of note is that in the papermaking process virtually every part of the tree is used, including the bark, which is a renewable resource that can be burned to generate power for the mill. Approximately 99% of the chemicals used in the pulping process are recovered through internal recycling then burned to produce steam energy. Overall about 38% of the fiber used in the US for paper production comes from recovered sources. One of the most significant changes has been the elimination of elemental chlorine from the bleaching process, referred to as elemental chlorine free (ECF). Findings show that elemental chlorine reacted with organic compounds in the wood which in turn lead to trace dioxins in the mills influent. Today virtually all modern paper mills produced pulp that is ECF or EECF. In addition some mills have elected to illuminate all chlorine containing compounds from the bleaching process for going totally chlorine free and using other chemicals such as oxygen, peroxide, or ozone. Since 1988, total North American paper industry dioxins emissions have been cut by 92%. Specific to phone book paper, while the popular myth is that this industry is responsible for the neutering of forests, the reality is the Yellow Pages industry doesn’t knock down any trees for its paper!!! Let me repeat that – they don’t need to cut any trees for their paper supply. Packaging: after the paper is made, it is wound onto a giant role, then cut into different sheet and roll sizes and packaged. Phone book paper is wound on jumbo roles which are then cut into 50” diameter rolls. Transport: finish paper products are then packaged for shipping and transported to their ultimate destination. Printers and publishers alike want a paper source as close as possible to their plants to reduce the cost of shipping. While fossil fuels are used to power the cargo ships and airplanes that transport most digital products/PC’s/mobile phones to their ultimate distribution site, about 56% of all new page paper actually travels via truck and 40% by rail. About 90% of phone book paper is transported via rail. Use: There is no question that paper in general, is one the most versatile materials on earth. Whether it’s newsprint, printing, and writing papers, packaging, household and toilet tissues, or industrial and special purpose papers, paper is a key part of our everyday life. And once we have that paper available, it’s use doesn’t require electrical power, special communications connections, or an expensive device to make it work. End-of-life: Recycling is costly for all collected materials but is a key part of a sustainable society that recognizes items at the end of their useful life can contribute to the creation of new products. After use, unlike electronic products, most paper of any type can be 100% recycled and utilized in the manufacturing of new paper. Paper can be recycled an average of five times. 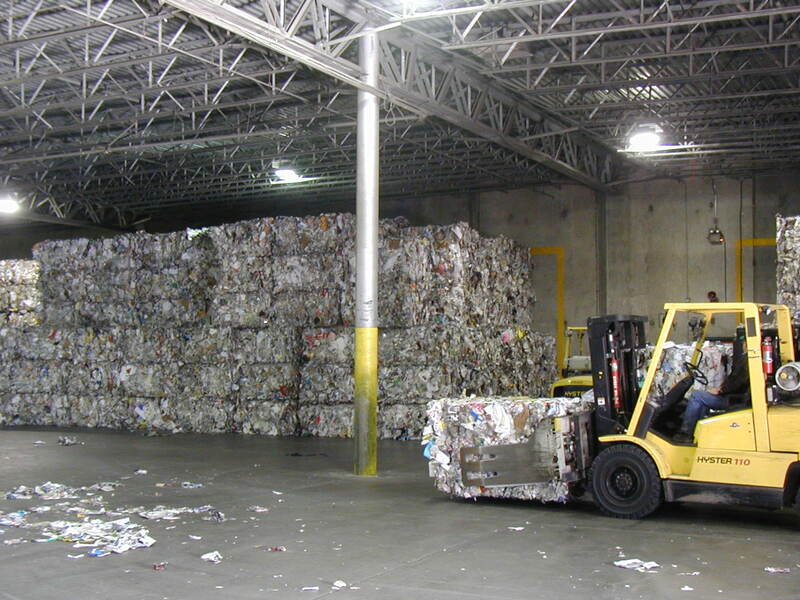 The AF&PA reports that 50% percent of all paper products are recycled, higher rate than metal, glass, or plastic. The recycling of phone book paper represents a huge opportunity – upwards of some seven million pounds of clean, recyclable fiber could be available. Many Asian countries such as China, which do not have the sustainable forest infrastructure that is in North America, are acquiring used paper to be shipped home for recycling to meet their paper needs. When combined with the significant reduction in print newspapers, there is a growing shortfall in the availability of quality recycled paper in the U.S. Prices for this recycled paper are continuing to rise rapidly. The manufacturing carbon footprint of a U.S. laptop is about 330 pounds CO2. A typical phone book, produced at a Catalyst Paper mill has a footprint of about 1 pound CO2. Distribution of the laptop is 110 pounds CO2 while the phone book is about 0.5 pounds CO2. One year of a laptop’s life has a carbon footprint of about 90 pounds CO2 while a phone book has zero usage carbon footprint (and arguably more effective). Disposal of the laptop creates another 70 pounds of CO2 while the phone book creates 0.5 pounds CO2. My favorite critics will all read this as a suggestion that we go back to the stone age and only use print. Nonsense. Electronic products such as PC’s, smart phone, Blackberry’s, tablets, etc. have become as integral a part of our lives and economy as paper has been. But in what has become a throw away culture, specifically targeting phone books in an effort to offset a local governments recycling and landfill costs is first off unfair, and more importantly, ineffective as they represent such a minimum percentage of all the collection costs for all municipal waste. It also isn’t the “green” move it would be seem to be when you look at the facts. The publishers and the industry associations have established opt-out programs for their print products. Give them a chance to work. Perhaps government officials should be spending their time more wisely looking at those industries that are generating a much larger percentage of the content in a typical waste stream than phone books are, and asking why those industries have not stepped forward to participate in helping to recycle their products as the yellow page industry has…..
It’s been a busy, busy month for announcements about people in the Yellow Pages industry. This regular monthly blog sponsored Hawthorne Executive Search is all about people in the Yellow Pages industry. If you have news you want to share about someone that is involved in the Yellow Pages industry (including retirees) that we should all know about, drop us a line and tell us how they are doing. Send your submissions to ken@yptalk.com. President and CEO Scott Pomeroy, in collaboration with the Board of Directors, has stepped down, effective immediately. Also stepping down immediately are Chief Strategy Officer Kathy Geiger-Schwab and Chief Talent Officer Rick Shaum. With Pomeroy’s resignation, Scott Brubaker, of Alvarez & Marsal, will serve as ther Interim CEO and President. Prior to this change Brubaker was the chief Restructuring Officer since last Octobers. Marilyn O’Neal will continue to serve as the company’s Acting Chief Operating Officer, and will report to Scott Brubaker. Also reporting to Scott will be Richard Jenkins, Interim CFO, Doug Myers, VP, Business Development, and John Fischer, General Counsel. Human Resources will now report to Kathryn Tecosky, currently Vice President of Learning and Organizational Development. At the Yellow Pages Group (New Zealand), Bruce Cotterill has stepped down as chief executive having completed a massive restructure and following the directory business’s bankers seizing control last month. Cotterill was originally brought in two years ago as Yellow’s debt became a huge drain, and it was unable to meet its repayments. Following that announcement, the Yellow Pages Group then named Scott Pomeroy as acting chief executive of the directories company. Pomeroy indicated he might be in the role for one or two years. Pomeroy is expected to divide his time between Auckland and his home in Colorado. He was appointed to a new three-person board on January 27. The other two directors are chairman Andrew Day and former MediaWorks chief executive Brent Impey. SuperMedia has announced that Mat Stover will join SuperMedia as its chief marketing officer, effective on March 7. Stover will report to SuperMedia CEO Peter McDonald. Stover was the CEO of Local Matters, Inc., which provides online search and advertising products and solutions for leading directory publishers and real estate portals. He joined the Local Matters Board of Directors in December 2005, and became CEO in January 2009. From 2005 to 2008, he was Chairman and Chief Executive Officer of ypOne Publishing, LP, a closely held company providing print and online yellow pages directories in the United States and Canada prior to its sales to Yellow Book. Stover served from 1994 through 1999 as group president of Bell Atlantic Directory Group and president and CEO of its predecessor companies, Bell Atlantic Information Services Group and NYNEX Information Resources Company, where he oversaw the $2.4 billion domestic print white and yellow pages publishing business, created the United States’ first national yellow pages on the Internet, BigYellowsm, as well as the successful web@once suite of website creation, copywriting and hosting products; established BellAtlantic.net as a major Internet Service Provider; and created Global Directory Services, Inc., which provided print and online shopping directory services in China, Greece, Poland and the Czech and Slovak Republics. He is a past director and chairman of the board of the Yellow Pages Association. Earlier in his career, Stover was chairman, president and CEO of AGS Computers, Inc., a provider of software solutions and consulting services; and was vice president – Public Affairs & Corporate Communications for NYNEX Corporation and senior vice president – Communications for American Express Company. He also was a director of Infoseek Corporation (SEEK), Ace Communications (ACEC) and i3 Mobile, Inc. (IIIM). Valley Yellow Pages announced that Rock Clum has joining their team as a Regional Vice President for the Sacramento region. Clum has extensive experience in the Northern California marketplace, including more than 30 years in the yellow pages industry and 20 years in sales management. Clum previously served as the Executive Sales Director for Ziplocal, where he was responsible for managing sales of 24 directories with $20 million in revenue covering California, Nevada, Oregon, and Utah. Prior to that, he was the Regional Sales Director for Trans Western Publishing Corporation/YellowBook Company, where he was responsible for 106 sales consultants in 10 offices and was instrumental in more than doubling the size of the region in five years. Valley Yellow Pages’ Sacramento region includes offices in Sacramento, Auburn, Marysville, and Chico and yellow pages directories for Sacramento, Roseville, Folsom, Placerville, Auburn, Grass Valley, Yolo, Yuba, Lassen, Butte, Shasta, and Glenn-Tehama. In September of last year, Australian Yellow Pages Publisher Sensis launched an online opt-out service titled “Directory Select” for those households that didn’t want to receive a printed book. The company commented that to date, only about 0.3 percent of households have opted out of the books. If you listen to some of the bloggers, they will tell you no one wants these “outdated”, “antiquated”, “horse and buggy” era products. But if that was the case, why aren’t more people stopping the book delivery?????? The company also noted their efforts to source paper from sustainable plantations, to reduce emissions and offset the rest have results in both the Yellow Pages and the White Pages being certified carbon neutral. Overall usage for the print Yellow Pages leveled off in those city areas, but still at high usage levels – 71% of consumers still used print, and 63% used online. Obviously both numbers include people that use both. In 2009, of the 30k visitors to their opt-out site (out of a total metro population of about 12 million, or more importantly 0.25% of the population) a total of 47% of the requests were for OPT-IN, while 53% asked to opt-out. In 2010, the numbers reversed themselves with OPT-IN requests rising to 56% while opt-out dropped to 44%. In Great Britain/UK – for every opt out request they got, 10 others who wanted a book. In the US, DEX indicated it’s opt out rate is running at less than 1%. For door hangers left at residences confirming they had requested to be left out of the book distribution, 5% actually contacted DEX requesting a book be delivered. So when you see all the ranting that these print directories are dinosaurs and never used, take it with a grain of salt and notice who is saying it. It usually is some start-up entrepreneurial online group with a technology in search of a market. And who has the big market share they would love a piece of?? The print Yellow Pages market of course.